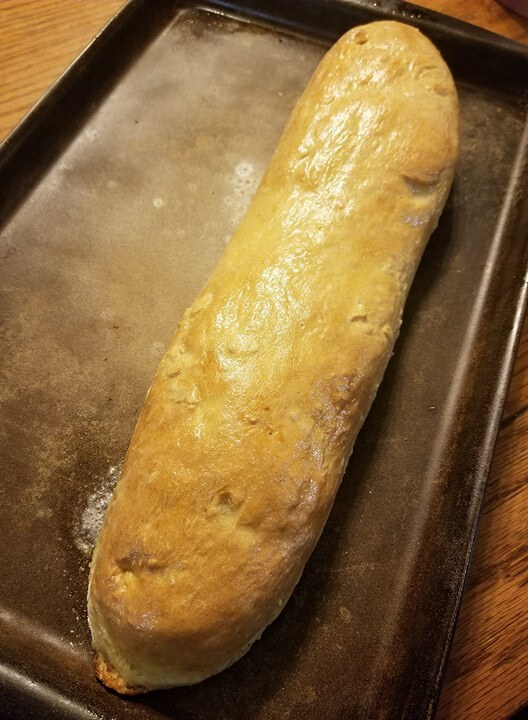 I’ve given you my French Bread recipe in a previous post. Find it here. 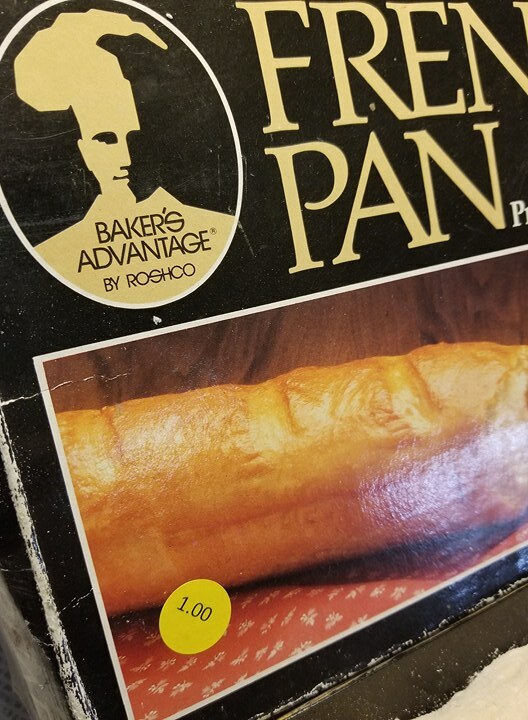 Well not to long ago I was at the thrift store and saw this French Bread pan. I was intrigued. 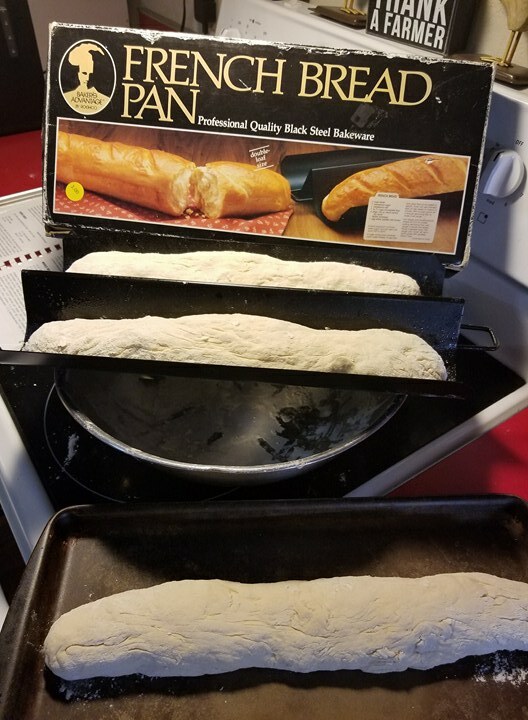 I wondered if actually having a pan might make the bread better. The pan was only $1 so I decided to give it a try….I figured it was $1 worth of entertainment. I followed my recipe and popped it into the pan. 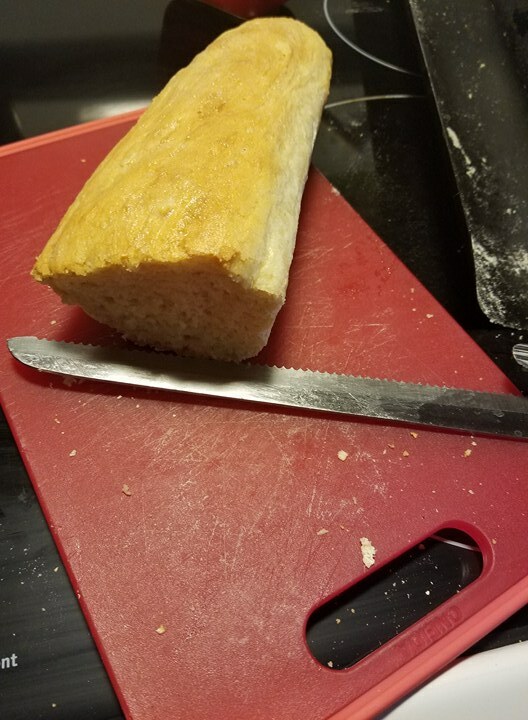 I had enlarged the recipe so I put one loaf on a baking stone as I previously did. Here’s how the loaves from the baking pan turned out….YUM! The bottoms of the loaves are fantastic. Hubby doesn’t like hard bread so this is great! I like that the loaves don’t sprawl out. They were better tasting even. You can’t tell a lot from the picture but this is the original way I made the bread. It’s flatter and crustier. I am SO happy with the $1 I spent. I went on Amazon to see if they have it available. I didn’t find the exact pan but this one looks just like mine. It was hard for me to believe that a pan could make the difference. It was $1 well spent. 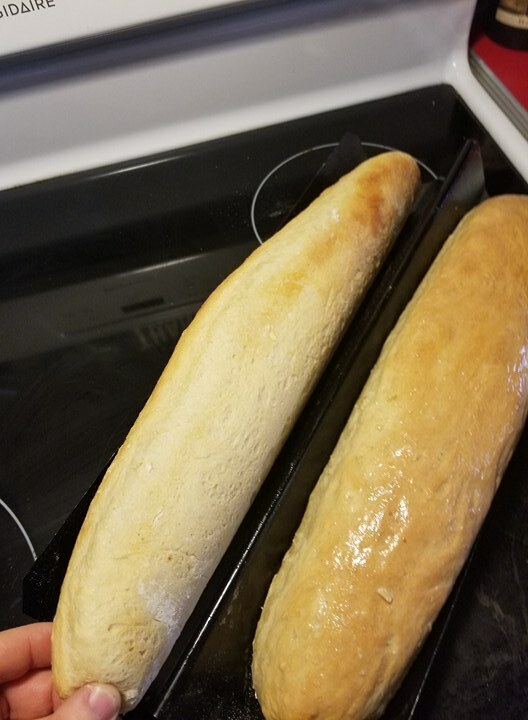 I’ll be using the pan every time I make French Bread. This entry was posted in recipes on January 19, 2018 by Jo. Have you ever used your Instant Pot to proof your dough? I’ve seen posts about it on the Facebook Instant Pot community. Lord, have mercy! You hesitated to buy French bread pans for $1? I would fight my granny for a bargain like that. I make French bread about once a week so this is a great accessory. Not that I have French bread pans . 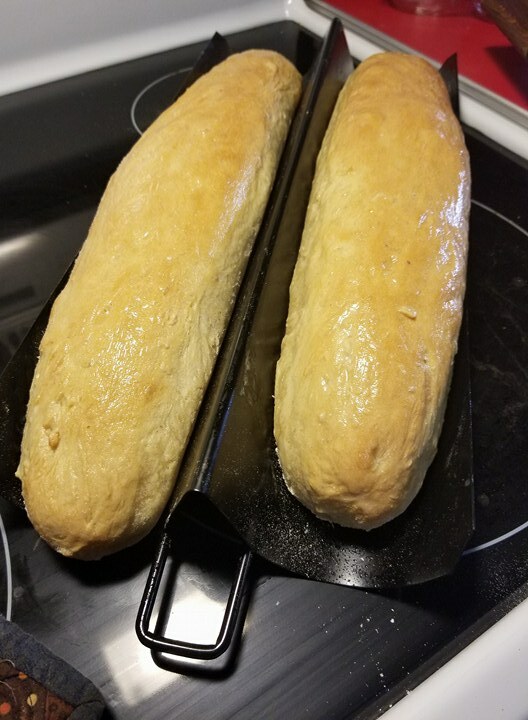 . .
My (then) 15-yr-old son made French bread in a similar pan for my wedding reception in 1981 (recipe from Betty Crocker cookbook). We had guests wanting to place orders for more!